Total bases (TB) refers to the number of bases a player has gained with hits and is a very easy statistic to calculate; it follows a simple formula: 1B + 2*2B + 3*3B + 4*HR. Following Will Middlebrooks‘ offensive barrage in today’s 13-0 win over the Blue Jays, in which the young Red Sox third baseman hit three home runs and a double, there are now six players in Boston team history since 1916 with at least 14 TB in one game. Is Nomar Garciaparra retiring? Say it isn’t so. At age 36, with several surgeries having limited his playing time in recent years, the last rock at the shortstop position in Boston is hanging up his uniform for good – maybe, maybe not – with a press conference this morning in Fort Myers. The legendary Ted Williams touted “NO-mah” as the game’s next great player and he seemed destined for a Hall of Fame career. First, he easily won Rookie of the Year honors in 1997, then followed that with a second-place finish in the MVP ballot in 1998 and two batting titles in two years (1999 and 2000). Five times, he was named to the All-Star while with Boston, and he was often compared to other great shortstops of his time, including Derek Jeter, Alex Rodriguez, and Miguel Tejada. When Garciaparra returned as an Oakland Athletic last July to Fenway Park for the first time since being traded away in 2004, he received a lengthy standing ovation from an appreciative crowd, to which he tipped his cap and graciously clapped along with them. It reminded us of the moment following a series-ending loss to Cleveland in the 1998 American League Division Series; as the Indians celebrated on the field by the visitor’s dugout, Garciaparra stepped back out from the Boston dugout, turned to the stands, and began clapping in genuine appreciation of the Red Sox fans that had followed the team all season and every season before then. Boston is still searching for the answer at short while fans search for answers on why such a promising career ended too soon; some might say that Garciaparra is to this generation what Fred Lynn was to the last one and Tony Conigliaro was to the one before then. Red Sox fans will always have a place in its collective heart reserved for Garciaparra, who gave all he had with the club for eight seasons, but we will always wonder what might have been for him. So, what in fact happened one October afternoon in 1932 as the Chicago Cubs and New York Yankees battled for the World Series title? Did the larger-than-life Babe Ruth really call his shot as legend has laid claim? That is just one story explored by baseball author and ESPN writer Rob Neyer in his latest book, Rob Neyer’s Big Book of Baseball Legends: The Truth, The Lies, and Everything Else. Efforts by the Baseball Writers Association of America eventually led to the creation of the MVP award as it is recognized today, decided by 28 seasoned sportswriters using a positional voting system where each voter ranks his or her top ten players. Jimmie Foxx was the first Boston player recognized by the baseball writers who gave him the honor in 1938, though for him it was his third award after having been recognized twice before with the Philadelphia Athletics in 1932 and 1933. Ted Williams remains the only Red Sox player to have been named twice (1946 and 1949). Other winners have included Jackie Jensen (1958), Carl Yastrzemski (1967), Fred Lynn (1975), Jim Rice (1978), and Roger Clemens (1986). Clemens remains the only Boston pitcher to earn the distinction, though since 1967 only seven pitchers have been so honored. Of course, due to the subjective native of the MVP vote, Red Sox players have found themselves the focus of controversial outcomes, more often as the odd man out. Though Williams was honored twice in his illustrious career, there were also four instances in which he finished second in the voting where he might have been considered the more deserving candidate. In 1941, he batted .406, the last player to hit .400 or better in the regular season, but lost to New York Yankees outfielder Joe DiMaggio, who has amassed a 56-game hit streak that same year. The next year, he finished second again, this time to Yankees second baseman Joe Gordon, despite having won the batting Triple Crown with more hits in fewer at-bats, twice the number of home runs, and an OPS almost 250 point higher. In 1947, Williams again won the batting Triple Crown, the only player other than Roger Hornsby to win that recognition twice, yet he again lost to DiMaggio by a single point in the vote, again with far better numbers across the board. Finally, in 1957, he won the batting title with an impressive .388 average and hit 38 home runs while setting a modern-day record of reaching base in 16 consecutive at-bats, all at the age of 39, yet finished second once more to another legendary Yankees outfielder, Mickey Mantle. Other Boston players who fell just shy in the voting include Pedro Martinez, who had one of the best seasons ever by a pitcher in modern baseball history and won the pitching Triple Crown and the Cy Young award. Yet, despite having more first-place votes, he lost to catcher Ivan Rodriguez from the Texas Rangers by a narrow 13-point margin in the vote. It was later discovered that two sportswriters, which included George King from the New York Post, had omitted Martinez from their ballots with the argument that the contributions made by pitchers were not significant enough to earn MVP consideration, though King had included two pitchers on his ballot the previous season. David Ortiz also fell just short of the honor in 2005 as he finished behind Yankees third baseman Alex Rodriguez in the vote. Though both players finished the season with impressive numbers, the argument was made that Ortiz, as a designated hitter, did not contribute as much to his team’s success as Rodriguez, so much that two sportswriters left Ortiz off their ballots. On the flipside, Vaughn finished a mere eight points ahead of Cleveland slugger Albert Belle in the 1995 vote, despite Belle having far more impressive numbers on offense, including a higher number of home runs, runs scored, RBI, slugging percentage, and total bases; he had also become the first player in major league history to hit 50 doubles and 50 home runs in the same season that same year. Vaughn, however, had a far better relationship with fans and the media, whereas Belle routinely refused to grant interviews to reporters and had engaged in several controversial incidents with fans both at and away from the park. Ted Williams was also well-known for his sour relationship with the media, whom he mockingly referred to as the “kinights of the keyboard,” and, like Belle, may have been the reason in part for losing several close MVP ballots. Deane, Bill, Thron, John, and Palmer, Pete. Total Baseball. HarpersCollins Publishers, New York, 1993. Years of waiting finally paid off for former Red Sox left fielder Jim Rice; on Monday, in his 15th and final year of eligibility, he was elected to the National Baseball Hall of Fame with 76.4 percent of the vote by the Baseball Writers Association of America. Rice, a 16-year veteran who retired after the 1989 season, follows in the footsteps of two other Hall of Fame outfielders who spent their entire careers in Boston: Ted Williams and Carl Yastrzemski. Rice fell 16 votes shy of election in 2008 but earned seven more than the minimum this year and will join first-ballot inductee Rickey Henderson and Veterans Committee inductee Joe Gordon this summer for enshrinement in Cooperstown. Had he failed again to reach the minimum 75 percent for eligibility, his only chance for induction after this would have been through the Veterans Committee, which has proven to be a challenge for other former players not elected by the writers to find themselves added to the Hall. Proponents had lobbied for Rice based on the fact that, between 1975 and 1986, Rice was one of the most feared hitters in the American League as he averaged .304 with 29 home runs and 106 RBI each season. He also finished in the top five of the MVP vote six times during that stretch, winning his only award in 1978 when he stroked 46 home runs, led the league with 139 RBI, and batted .315, just twenty points behind league-leader Rod Carew. He also collected an amazing 406 total bases that season, the first to have 400 or more total bases in a single season since Hank Aaron in 1959 and a feat that’s been matched since only six times. Drafted and signed by Boston in 1971, he earned Triple Crown, Rookie of the Year, and MVP honors as a member of the AAA Pawtucket Red Sox in 1974. The following season, Rice broke into the majors and, along with fellow rookie sensation and “Gold Dust Twin” Fred Lynn, helped Boston return the World Series for the first time in eight years (unfortunately, a wrist injury due to an errant pitch in September forced Rice to miss the remainder of the season as well as the 1975 Fall Classic between the Red Sox and the Cincinnati Reds). Eleven years later, appearing for the only time in the playoffs, Rice hit a 3-run home run in the seventh game of the ALCS to help Boston win the AL pennant, then batted .333 and scored the lone run in a 1-0 Game 1 victory for Boston against New York in the World Series. He was also an eight-time All-Star and a Silver Slugger award winner in 1983 and 1984. Red Sox first baseman Kevin Youkilis strung together 135 errorless games and 1,094 errorless innings at first base during the 2007 regular season for a fielding percentage of 1.000, a feat of perfection that has been duplicated only once before in major league history. He has also played 190 consecutive errorless games in the regular season at first base, three shy of Steve Garvey’s major league record, and has easily surpassed the old Red Sox record (120 games by Stuffy McInnis) and American League record (178 games by Mike Hegan). For his efforts, American League managers and coaches last week honored the four-year veteran his first Rawlings Gold Glove award, one year after making the full-time switch from the third base position where he was raised as a professional player. He is the first Red Sox player to earn the honor since teammate Jason Varitek won the honor at the catcher’s position in 2005 and only the second Red Sox first baseman to be recognized, the other being George Scott, who won it three times between 1967 and 1971. Since the awards were first handed out in 1957, 16 Red Sox players have captured the honor a total of 36 times. The first year the awards were given, only one award was made for both leagues, and Frank Malzone won the inaugural honor at third base. Five Boston players have won the award multiple times, with former outfielder Dwight Evans holding the team record with eight Gold Gloves won between 1976 and 1985 and Carl Yastrzemski capturing seven in his 23 seasons with the club. Nine times, the Red Sox have had more than one honoree in the same season; twice they have had three. Yastrzemski, Scott, and outfielder Reggie Smith all won at their positions in 1968 and Evans, outfielder Fred Lynn, and shortstop Rick Burleson each capture the honor in 1979. The last time the Sox had more than one winner in a single season came in 1990, when pitcher Mike Boddicker, the only Boston player to ever win a Gold Glove as a pitcher, and outfielder Ellis Burks both won. Gold Gloves have been at a premium for Boston players since averaging better than one per season between 1957 and 1985; catcher Tony Pena in 1991 had been the last Red Sox player to capture the defensive honor before Varitek ended a 14-year drought in 2005, giving the team a total of just five awards in the last 22 seasons. Rafael Palmeiro will be elected to the Hall of Fame, regardless of the fact that he was caught by Major League Baseball’s new drug testing policy, which showed that he took steroids to boost his numbers on the field. 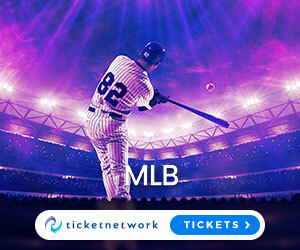 He is certainly not the first player in baseball to have used a performance enhancer to try and better himself at the plate, with Jose Canseco and Ken Caminiti both admitting in recent years of widespread use of steroids by themselves and former teammates that saw home run totals climb into the stratosphere. The latter paid the ultimate price last fall when a cocaine overdose, likely fueled by his reliance on illicit drugs to keep that high that he felt playing baseball all those years alive, took him from this earth at the tender age of 41. Palmeiro’s career numbers are indeed impressive, having recently passed the magical 3,000-hit mark and the 500 home run mark in 2003. Given that he is signed to play through the end of next season, it is quite possible that he could manage to hit enough home runs to qualify as only the third player in major league history to have a minimum of 600 home runs and 3,000 hits, joining only Hank Aaron and Willie Mays in that respect. The numbers are impressive, especially when you consider that Palmeiro has never held a batting or home run title in his 20 seasons playing in the majors. Unfortunately, the recent ten-day suspension will hang over his head for years to come, tarnishing an otherwise unblemished record. Of course, there are others in recent years whose names will someday show up on the ballots of the baseball writers whose reputation are modestly stained; Mark McGwire, Barry Bonds, and Sammy Sosa come to mind, although there is no concrete evidence that they have used illegal performance enhancers. Although it’s true that McGwire admitted to using androstenedione during the 1998 season as he and Sosa chased Roger Maris’s 37-year-old home run record, at that time it was not a banned substance as it is now, so he essentially gets a get-out-of-jail free card. So don’t be surprised to see them get elected, either. Being a Boston fan, I can’t help but think about former Red Sox slugger Jim Rice, a player that I admittedly only caught in the latter part of his career. It’s not hard to look at his numbers and be impressed. Had he not debuted in the same season as rookie teammate Fred Lynn, he would have easily walked away with American League Rookie of the Year honors and perhaps even the MVP as well after batting .309 with 22 home runs and 102 RBI. From 1977 through 1979, his numbers were almost equal in every season, averaging .320 with 41 home runs and 128 RBI. In 1978, he collected 406 total bases, the only American League player since the legendary Joe DiMaggio in 1937 to have more than 400 in a season; three times, he led the AL in home runs and twice finished number one in slugging percentage. Rice was the classic power hitter in the lineup; though only 6-foot-2 and weighing in at just over 200 pounds, he used his short stroke and his strong wrists to drive balls all over the yard. From 1975 through 1986, he was one of the most feared sluggers in baseball as he averaged .304 with 29 home runs and 106 RBI. When he finally called it a career after the 1989 season, he had amassed 382 home runs, 2,452 hits, and 1,451 RBI; all three place him in the top 100 of all-time in MLB history. One would think that would be enough to get his plaque hung alongside the likes of Ted Williams and Carl Yastrzemski, two other Red Sox greats and among the only players he trails in several offensive categories in team history. Yet Rice still waits outside the gates, perhaps silently wondering if the last few, injury-plagued seasons hurt his chances. Had he not tried to play through injuries to his knees in those seasons, he might have built on those numbers even more, finished on a high note, and found his way to Cooperstown in his first year of eligibility in 1995. However, when you consider that he put nothing more in his body other than perhaps a few vitamins, those numbers today are that much more impressive when compared to the baseball stars today that are pumped up on more than adrenaline. Rice is probably not the only star from his era that has been overlooked; Andre Dawson is one other player that comes to mind who put up great numbers but was nagged by injuries late in his career that probably hurt his chances. Enshrinement in the Hall of Fame should not come easy; being a player of that caliber in any sport means that you were one of the best ever to play. For years, the baseball writers who voted for these ballplayers have generally turned a blind eye towards passing judgment on that player’s ethical conduct because, for the most part, the numbers have been all that mattered. Thus, Palmeiro and his contemporaries will be given a pass and honored among other past greats of the game, even with concrete evidence that they tampered with their bodies to give themselves an edge on the field. Yet, knowing that, perhaps players like Rice who were the power hitters of their era should be given a pass for, well, just being human.